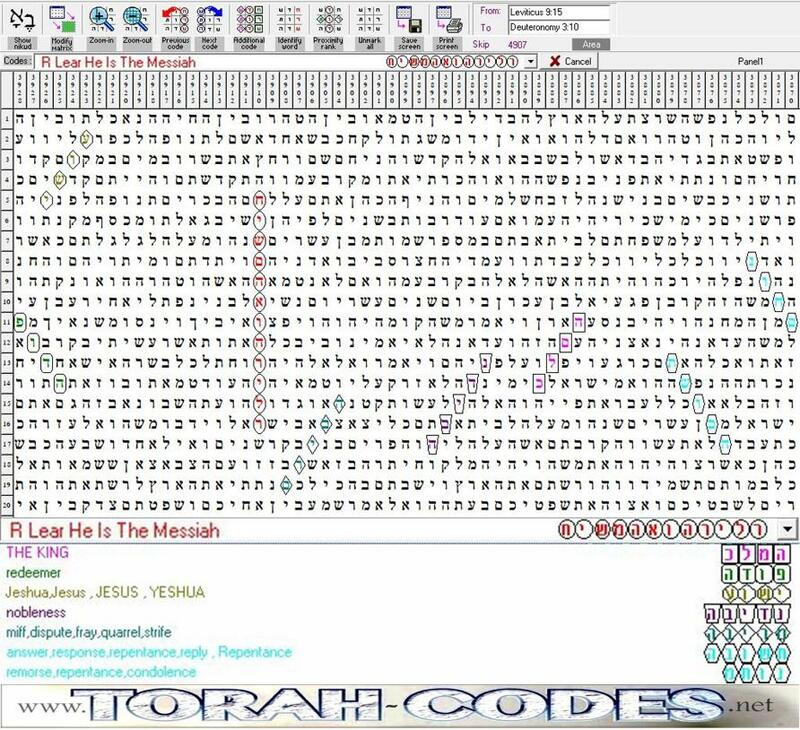 The Bible code, also known as the Torah Code, is a method described as a "hidden code" of selecting Equidistant Letter Sequences from within the 3,300 year old Hebrew Bible that form words and phrases that demonstrate foreknowledge and prophecy. 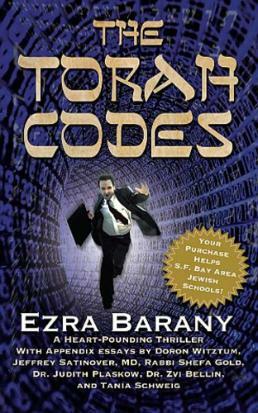 The study and results from this cipher have been popularized by Michael Drosnin's book The Bible Code. Many examples have been documented in the past by three Israeli mathematicians in the scholarly journal Statistical Science. Since then many codes have been found that prove beyond doubt that God authored and encoded the original Torah and Tanakh (remaining books of the Old Testament). I recommend joining the Torah Codes Groups on Facebook and VK to stay up to date with the latest discoveries from the worlds top Torah Code Researchers. many shall run to and fro, and knowledge shall be increased." The following Codes show without a doubt that the Messiah Has Arrived! Initially discovered by Professor Rips, absolute mathematical proof of the "God Codes" with the Father confirming the Son, found in the book of Genesis. 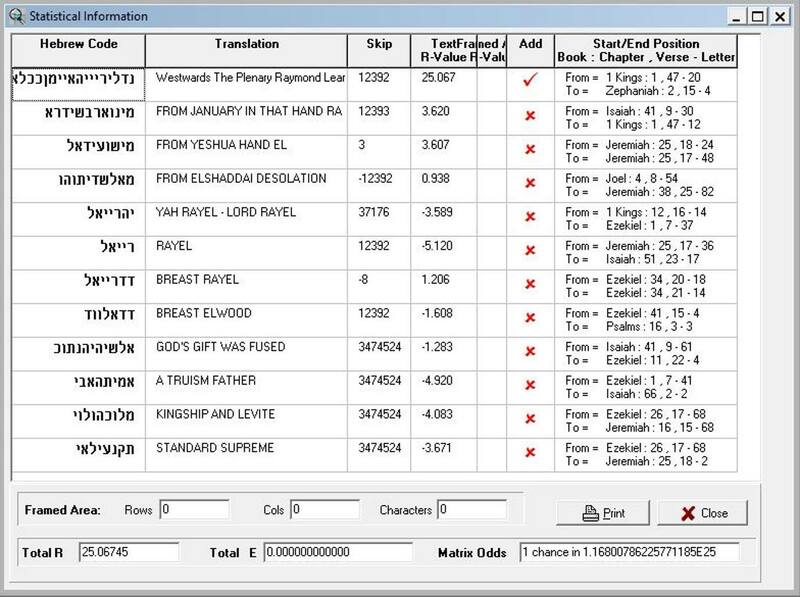 No Torah Code Researcher can dispute this finding. GOD LOCATING ANCIENT, GIFT ALLAH ENGRAVER, ABIHAIL - Father of Might. FATHER R.LEAR SON. 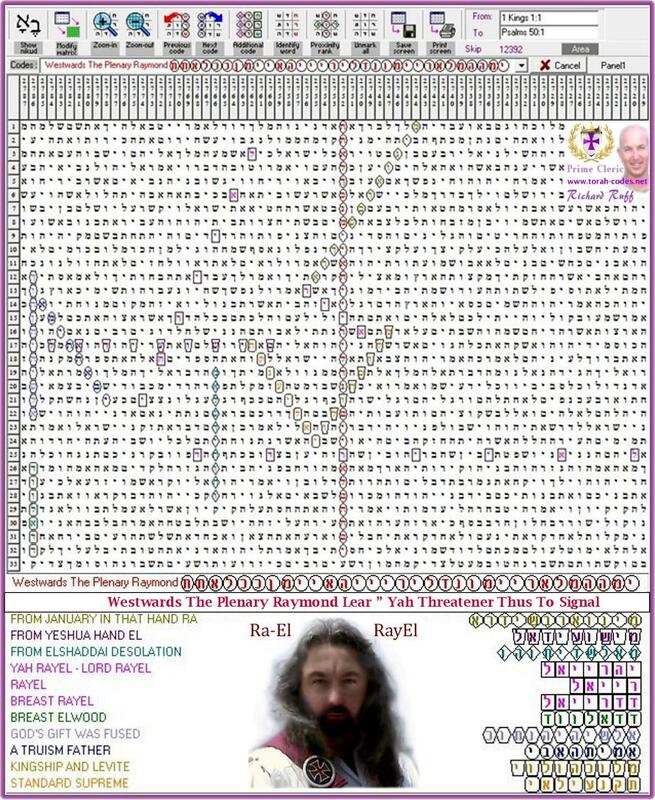 Multiple confirmations that Raymond Lear - RayEl - is the Messiah. FROM HER TOXEMIA LEAR - Toxemia was the official medical reason for His preterm delivery. He had to be born preterm for the Tetrad to Pentecost conception for the birth to align properly. 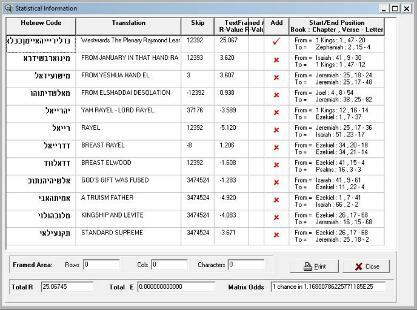 Torah and Bible Codes on the following pages searched by Richard Ruff, former Australian Armoured Corp soldier, Peacekeeper and Truth Seeker. 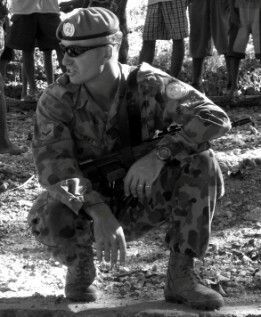 Military Trained in Encoding and Decoding messages for the battlefield. The above is a code with a long sequence of equidistant letters that form words and phrases. a direct message from God encoded in the Torah: R.LEAR HE IS THE MESSIAH! they refuse to REPENT and would rather QUARREL. How He returns (like lightning from East to West) and scripture confirmation of where He returns (Countries of the Eagles). "For just as lightning goes out from The East and appears unto The West, so will the coming of The Son of Man be. 28 Wherever the body will be, there will the eagles be gathered." As most of you know, Raymond Elwood Lear was falsely imprisoned (Matthew 25:36), and was removed from the United States to the "International Zone" between El Paso Texas and Ciudad Juárez Mexico. 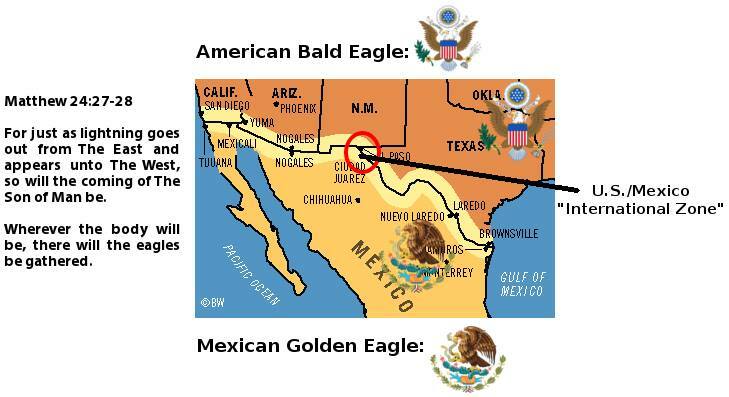 Since this is a region shared by both countries, and both countries use the "eagle" as their symbol, it symbolically is where "the eagles be gathered" (Matthew 24:28). When his Holy Spirit descended from the clouds in the Middle East (Jerusalem), it entered our realm with a flash like lightning, and instantly traveled to the West (U.S./Mexico International Zone), to join with the Son of Man, RayEl. Israel's "Messiah Prophecy" Came True on April 12th! 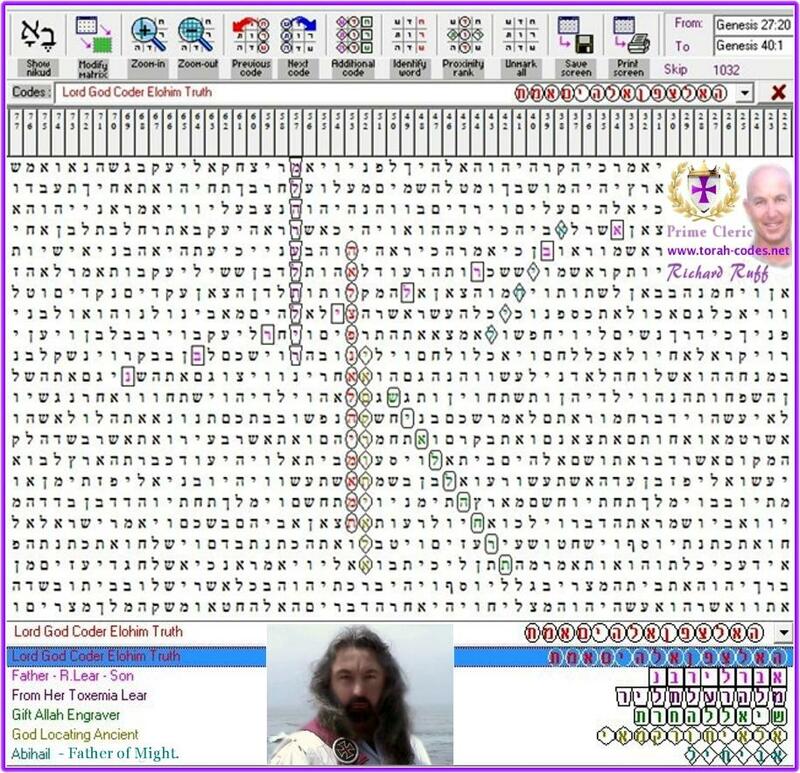 There has been incredible findings over the past few years in the mysterious Bible/Torah Code. Some people are skeptical, but Daniel 12:4 tells us "... conceal these words and seal up the book until the end of time; many will go back and forth, and knowledge will increase". Since this is the computer age, when the hidden messages can be decoded, it makes perfect sense. Many Israelis have been waiting for the Passover of 2012, because this was when the Torah (the first 5 books of the Bible) said that the Messiah would be revealed to Israel, and begin their redemption. The Torah Code said it would happen on the evening of April 12th. 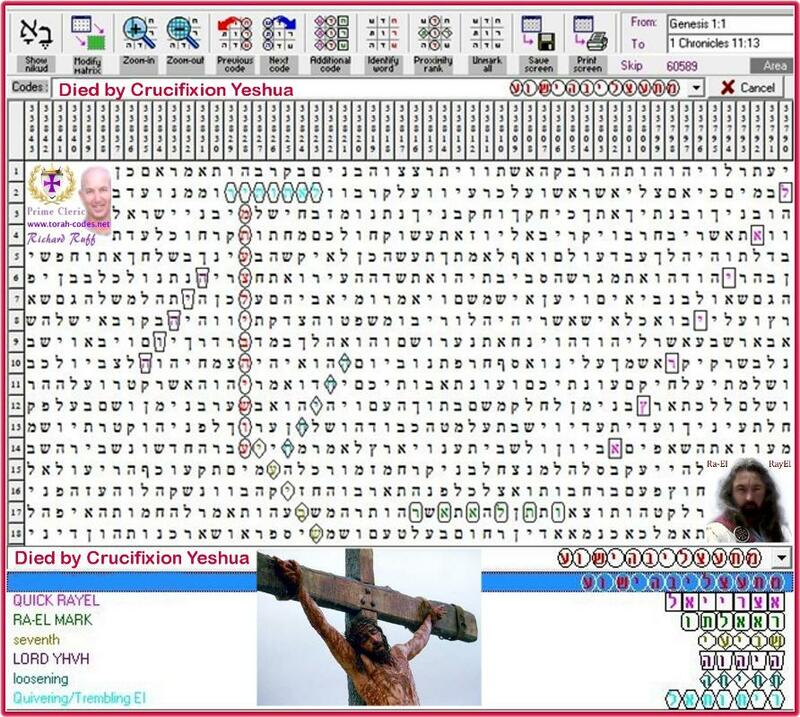 The Torah Code prophecy came true, and the Messiah was revealed to Israel on April 12th. 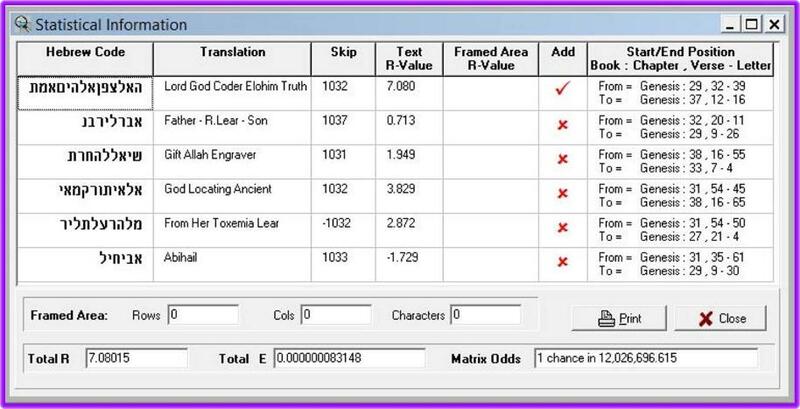 This video will help explain what unfolded, and show the actual Torah Code evidence.